Let’s make an example: you sell an ebook that costs sixteen dollars, but you also offer your users to support your business adding more dollars, because your products have improved their life in the past. According to the statistics, at least 10 customers on 100 will pay more than the requested price, rounding off the price of the product to twenty dollars: it isn’t bad, is it? Sites like Priceline have created a business on this idea and take advantage of the power of the sale system based on how much users are willing to pay to accommodate their needs. 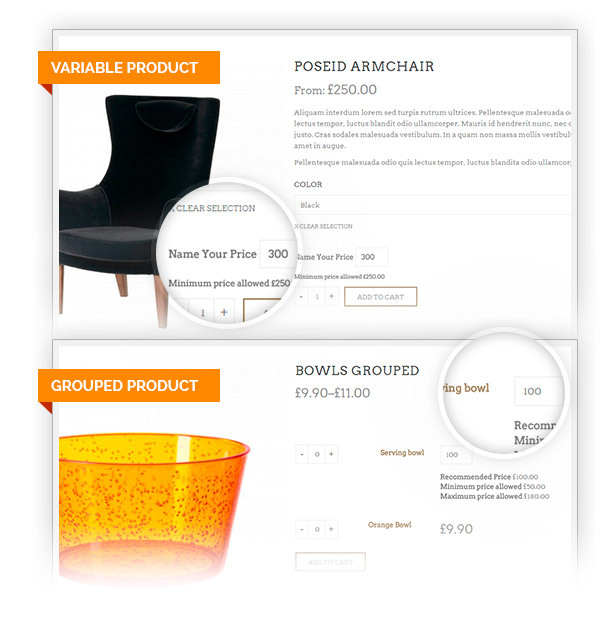 Fixed: icon sale visible when product is "name your price"
Not only single products, but also variations and grouped products. It will appear in the detail page of the products. Prevent purchases at no cost! One shot to avoid changing manually every single product. You have the complete control of your site. For example, Multi Vendor offers new solutions for a better experience. It has good supportThis plugin is a very nice one, I needed to customize it a bit and I got the help I needed from the support team. For bigger changes, they can't help, but I'm happy to see they do their best to help with any question. Speaks for itself, setting up the plugin is fairly easy. Plugin works as expected. No sorry, this is not possible. Hi, Kurandin! 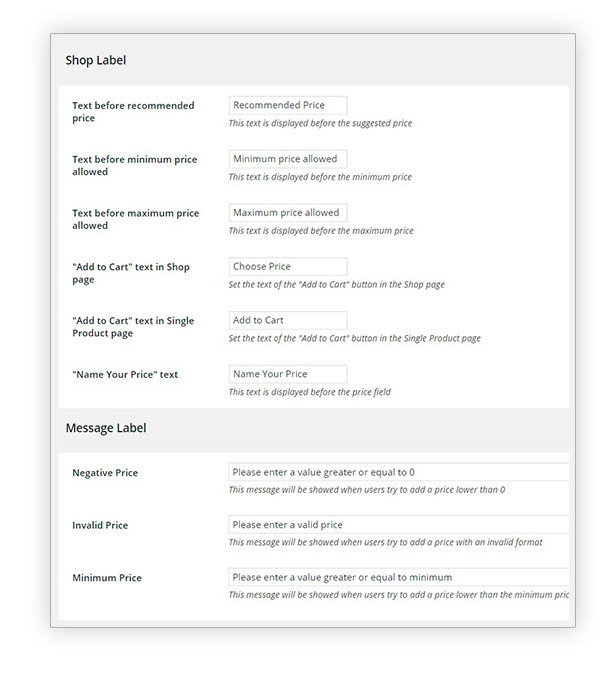 The plugin works at the product level, therefore, it is not possible to use it on cart page, I am sorry. Unfortunately Name Your Price and Request a Quote are not compatible. Therefore it is not possible to have them work together, the way you had in mind. 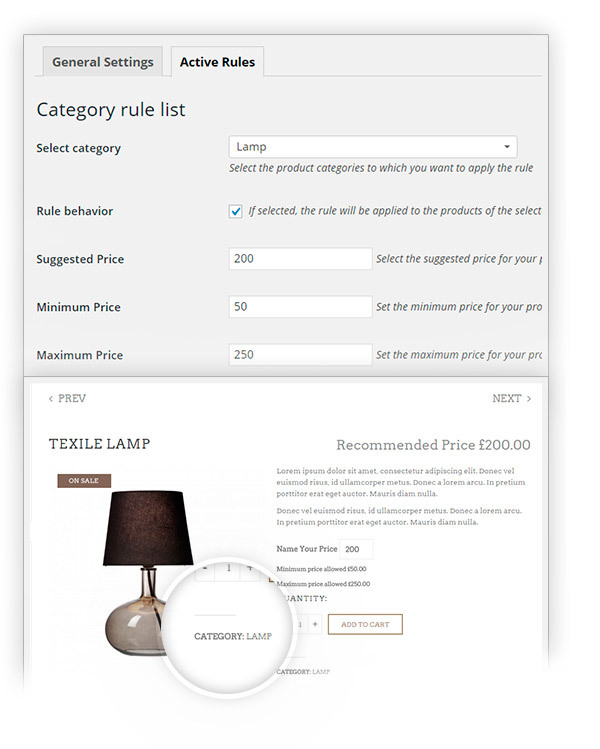 With Request a quote you are able to accept or reject a quote request, that way you can avoid direct purchase of the customer. Hi; Evan! 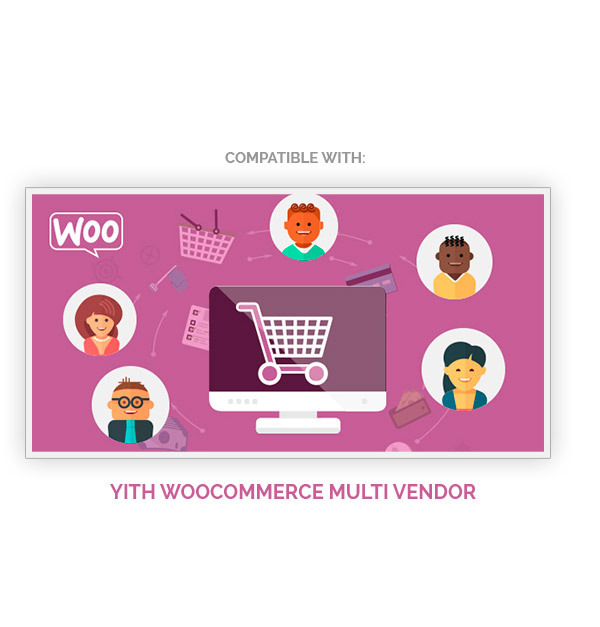 The scenario you describe is more likely achievable with the use of our YITH WooCommerce Gift Cards (https://yithemes.com/themes/plugins/yith-woocommerce-gift-cards/). This plugin allows you configure gift cards with a fixed amount (chosen by the administrator) or a variable amount (chosen by the user). The code generated will be sent to physically or by email to the recipients specified during the purchase of the gift card. 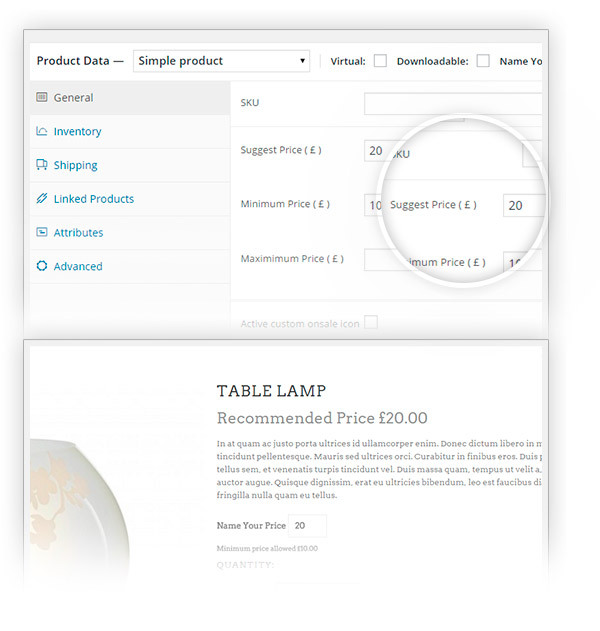 If you want, you can test the features through a sandbox by clicking on Launch Admin Demo at the following link http://plugins.yithemes.com/yith-woocommerce-gift-cards/. Hi, James! 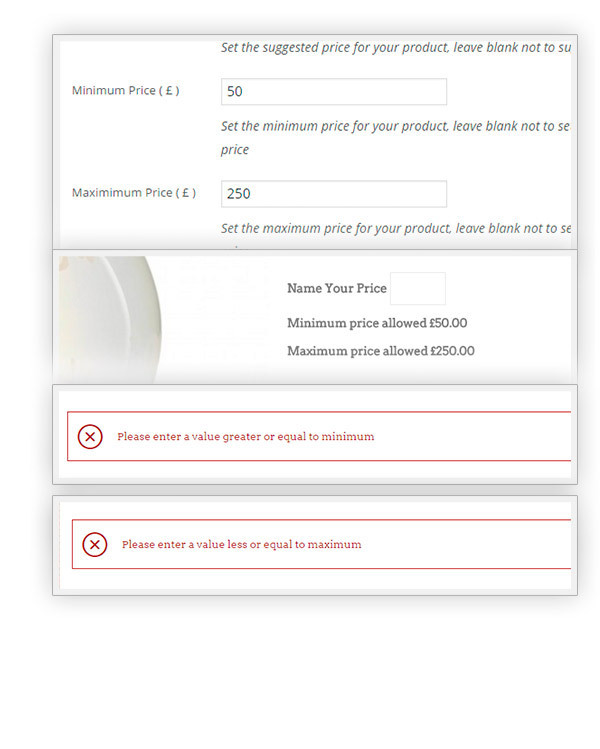 I am sorry, the plugin doesn't allow adding multiple name your price products to one page. You can show the suggested price only on the related product page.